Our staff demonstrates professionalism in a friendly manner with over 30 years of aesthetic laser and skin care experience. Our staff completes extensive training and certification on each laser and skin care product we provide. They stay current with industry trends and are knowledgeable in all aspects of the rapidly changing technology. 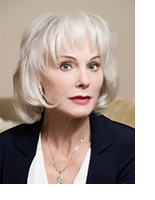 Owner of Vancouver Laser Skin Care Clinic, Master Aesthetician, and certified laser technician, with over 30 years of aesthetic laser and skin care experience. Lori grew up in Oregon, attending Portland State University and graduating from Executive Institute of Hair Design with a Cosmetology License in 1981. Moving to Southern California, Lori was introduced to the first CO2 laser treatments performed by Dr. Gary Lask, head of the Laser Department of UCLA, and world renowned dermatologist Dr Howard Murad. Seeing and experiencing the dramatic results from these treatments, Lori started on the career path of Laser Skin rejuvenation. She then started her own business in Manhattan Beach for five years customizing facials and peels and recommending skin care routines for all skin types. 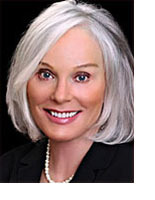 Moving back to Oregon in 1996 she started working with Dr. Bruce Russell of Beaverton Oregon, as Aesthetic Division Manager. 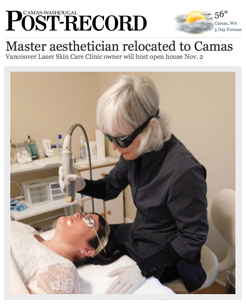 She helped build his Laser Dermatology practice after he retired his position with OHSU’s Laser Department. This opportunity to work with the expertise of Dr. Russell and to use the best Laser technology in the world opened many doors for Lori. To be able to reverse sun damage, facial lines, face /spider veins, sun/age spot removal, scarring, lifting and tightening loose sagging skin, and rejuvenate and refresh the skin with out surgery was amazing and gratifying. Lori has held several charity benefits with proceeds going to abused mothers and children who are in safe houses. Giving the gift of hope for a new beginning has been heart warming. She enjoys escaping to the Oregon coast every chance she can to breathe in the crisp fresh ocean air she’s finds this calming and rejuvenating any time of year. Balanced in mind body and spirit is the best place to be. Jennifer graduated from Beau Monde College of Cosmetology with a focus in Aesthetics in 2007. Upon receiving her license, the college invited her to stay with the program as an Aesthetics instructor, where she practiced for three years. 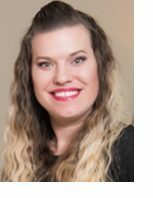 Having a passion for the Aesthetic Laser industry, Jennifer began attending Spectrum Advanced Aesthetics where she completed her Aesthetics Laser licensing in 2014. Out of school, she was hired at Vancouver Laser Skin Care Clinic as of 2015. Having the opportunity to use all the latest in advanced laser technology, and beauty skills with Jane Iredale Mineral Makeup Jennifer offers increased confidence and beauty to her patients. With her downtime, Jennifer spends time with her husband and two daughters.